Aventurine is a great stone for attracting abundance & wealth. This stone has been used as a lucky talisman and is a popular stone for gamblers. 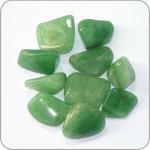 Aventurine is used to reduce stress, develop confidence, imagination and improve prosperity. A legend from ancient Tibet says that aventurine was used to improve nearsightedness and to increase the wearer's creativity. It also helps in career change. On physical lever aventurine can help to easy muscle tensions, inflammations in wounds and joints, helps heal the lungs. Astrological: Aventurine is a lucky talisman for those born under the astrological signs of Aries, Gemini, Cancer, Virgo, Taurus and Libra. Aventurine is a form of quartz, characterized by its translucency and the presence of platy mineral inclusions that give a shimmering or glistening effect termed aventurescence. 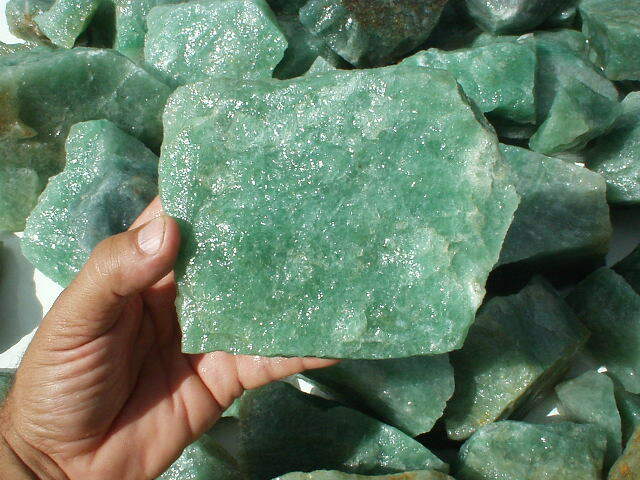 The most common color of aventurine is green, but it may also be orange, brown, yellow, blue or gray. Chrome-bearing fuchsite (a variety of muscovite mica) is the classic inclusion, and gives a silvery green or blue sheen. Oranges and browns are attributed to hematite or goethite. Because aventurine is a rock, its physical properties vary: its specific gravity may lie between 2.64-2.69 and its hardness is somewhat lower than single-crystal quartz at around 6.5. Aventurine feldspar or sun stone can be confused with orange and red aventurine quartzite, although the former is generally of a higher transparency. Aventurine is often banded and an overabundance of fuchsite may render it opaque, in which case it may be mistaken for malachite at first glance. 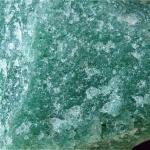 The name aventurine derives from the Italian "a Ventura," meaning "by chance." This is an allusion to the chance discovery of aventurine glass or gold stone at some point in the 18th century. Although it was known first, gold stone is now a common imitation of aventurine and sun stone. Gold stone is distinguished visually from the latter two minerals by its coarse platelets of copper, dispersed within the glass in an unnaturally uniform manner. It is usually a golden brown, but may also be found in blue or green. 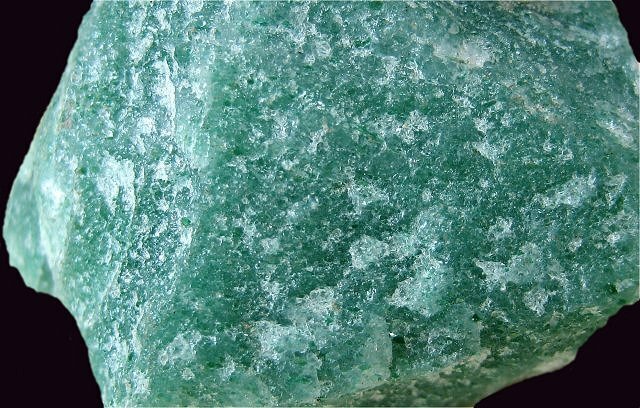 The majority of green and blue-green aventurine originates in India (particularly in the vicinity of Mysore and Madras) where it is employed by prolific artisans. Creamy white, gray and orange material is found in Chile, Spain and Russia. Most material is carved into beads and figurines with only the finer examples fashioned into cabochons, later being set into jewelery. 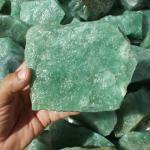 Main markets for aventurine are landscape stone, building stone, aquaria, monuments, and jewelery.